In the whole of South Asia when one surveys the political landscape in terms of countries which can be said to be genuinely friendly to India and which are devoid of any political or strategic irritants in relations with India, only one country stands out. The Kingdom of Bhutan stands out as India's trusted friend and ally. Bhutan is a country of great strategic significance in India's national security strategic calculus. Its size may be small but its geo-strategic significance outweighs its size. Bhutan extends 306 km from East to West and 145 km from North to South and is nestled in the Eastern Himalayas. Bhutan is bordered on the East ,South and West by India. China borders Bhutan in the North and North-West. In terms of external boundaries, Bhutan has a border of 605 km with India and 470 km with China. And therein would become obvious the geo-strategic significance of Bhutan, and its strategic relevance to India. Bhutan, therefore, emerges as a crucial buffer state between India and China in the Eastern Himalayas in the military sense. 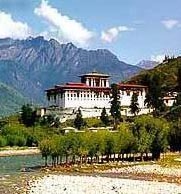 Western Bhutan borders the Chumbi Valley of Tibet and therefore guards any possible Chinese ingress routes in any possible future conflict. The Indian State of Sikkim , adjoining Western Bhutan, till recently was being disputed by China. Sikkim hosts sizeable Indian troop deployments as a consequence A Bhutan friendly to India ensures that India's defences in Sikkim are not out-flanked in any Chinese military operation. Similarly, Eastern Bhutan adjoins the vital Indian Army defences in Arunachal Pradesh, still wholly claimed by China. Here too a Bhutan friendly to India ensures that the Indian Army defences in this region are not outflanked from the West in any Chinese military operation. In the South a narrow strip of Indian territory separates Bhutan from Bangladesh which currently not only facilitates Pakistan's proxy war against India's North East but also provides sanctuaries to anti-Indian insurgent groups. Through this narrow corridor pass India's crucial lifelines to its seven North Eastern States, namely a single rail-line and a single national highway. Bhutan provides a secure northern flank to this vital corridor in marked contrast to the disruptive attitudes of Bangladesh to the South of the corridor. 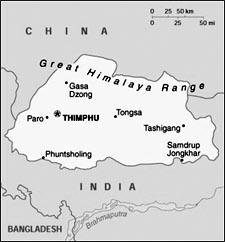 In 2003 Bhutan under the directions of its monarch, King Jigme Singye Wangchuk, carried out effective military operations to flush out anti-Indian insurgent groups from its Southern Bhutan thick jungles and thereby deny them sanctuaries in its territories. This amply illustrates that Bhutan is India's trusted friend and ally and mindful of India's security interests in marked contrast to other countries in the region. It also needs to be noted that Bhutan unlike Nepal or Bangladesh has in its foreign policies not tried to play off China against India. In fact China resents Bhutan's strategic proximity to India and keeps generating boundary disputes with Bhutan and also Chinese military incursions into Bhutanese territory. Bhutan has in the United Nations consistently sided with India on crucial issues. With such a track record, Bhutan deserves India's special attention and consideration. In South Asia where India has to face confrontationist states like Pakistan and Bangladesh and states with political instability like Sri Lanka and Nepal, it is Bhutan which breaks this bleak pattern as a stable state under its enlightened monarchy and a genuine and trusted friend and ally of India.